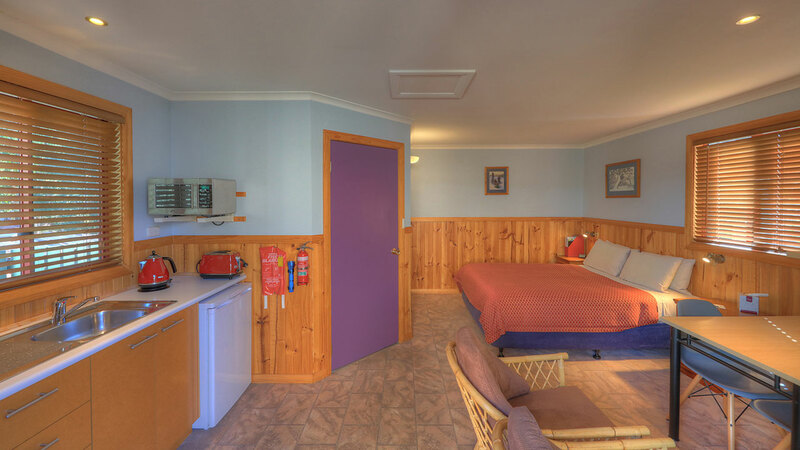 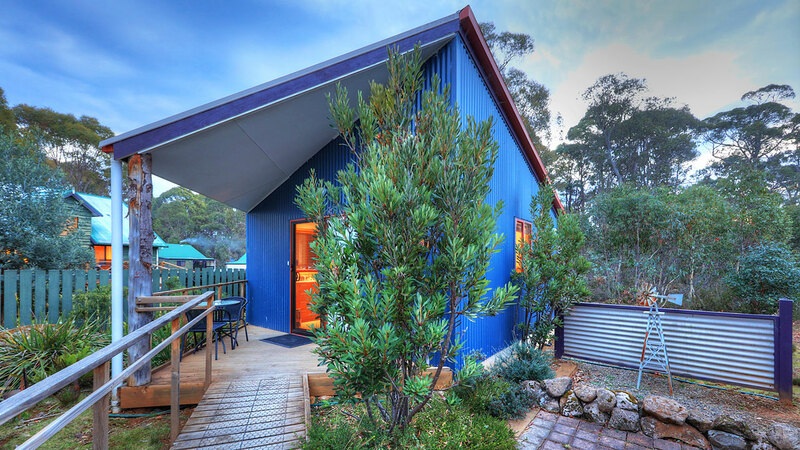 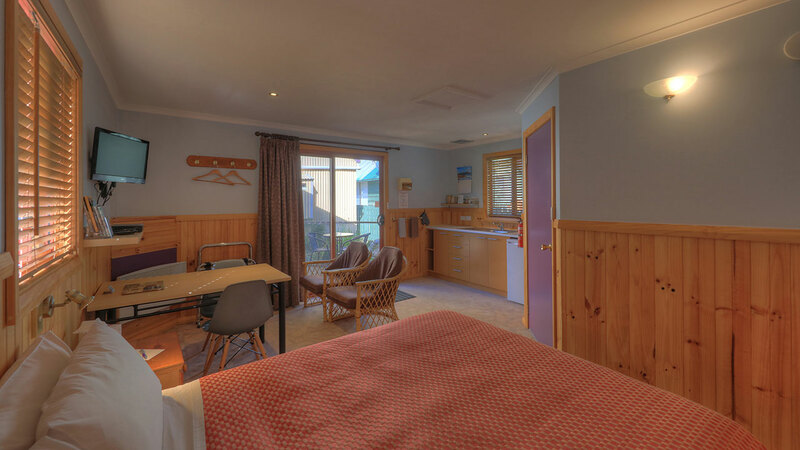 Cuvier, the name of the river that enters the western side of Lake St Clair at Watersmeet, is a studio that can cater for disabled guests. 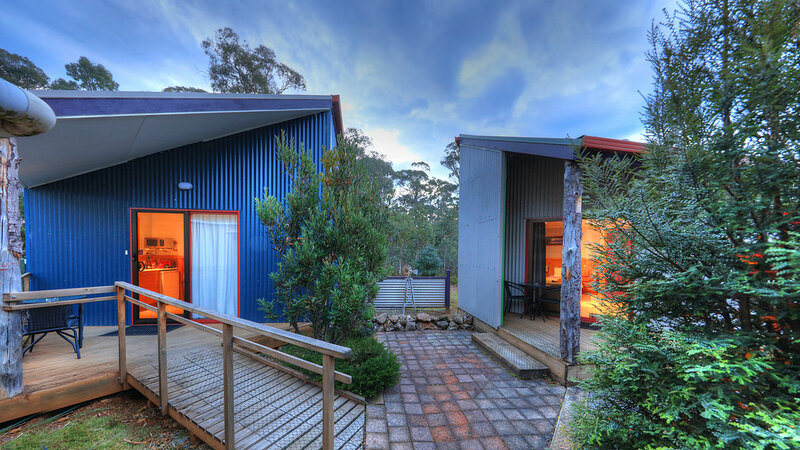 This disabled friendly studio has a ramp, wide doorways and open shower. 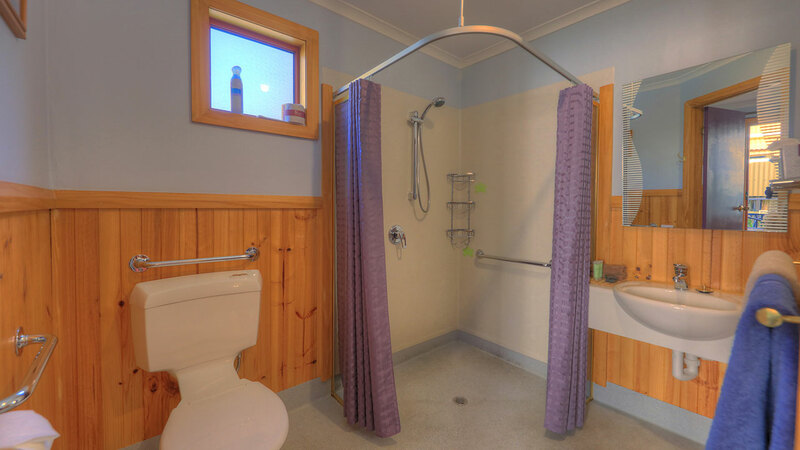 The ensuite bathroom is fitted with grab rails.